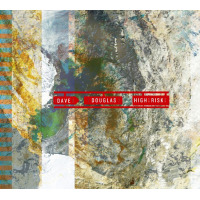 On his first big band recording, award winning trumpeter, composer, bandleader, and Greenleaf Music label founder Dave Douglas is joined by the Frankfurt Radio Bigband, conducted by composer/arranger Jim McNeely, with whom Douglas studied in the mid-1980s. 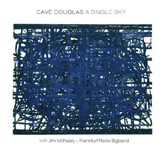 Presenting a previously unheard facet of Douglas' artistry, A Single Sky features new compositions written expressly for big band, as well as McNeely's nuanced arrangements of a few of Douglas' older tunes, which sheds new light on his earlier work without obscuring the subtlety of his original vision. Three new pieces, "The Presidents," "Campaign Trail," and "Blockbuster" are culled from Douglas' first original work for big banda nine part suite originally titled Letter From America, later renamed Delighted States following the 2008 American Presidential election. 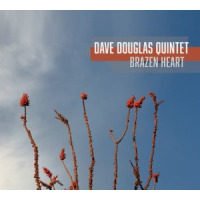 McNeely conducts these new works using Douglas' original arrangements, drawing the four remaining tunes from the trumpeter's extensive songbook. 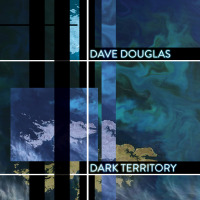 On the surface, the differences between the new and old pieces are slighta testament to both Douglas' consistency as a composer and McNeely's talents as an arranger. Despite subtle shifts in tone and style, the tunes are spacious and uncluttered, allowing individual soloists ample room for expression. 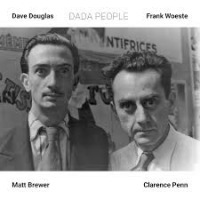 Largely eschewing the pneumatic riffing of the swing era, and the dissonant collectivism of the New Thing, Douglas and McNeely embrace a sober, lyrical approach. 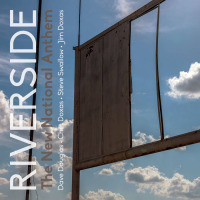 Making the most of the band's multihued sonorities and scintillating textures, they side-step tired traditions, favoring the effervescent expansiveness pioneered by Gil Evans, Gary McFarland, Gunther Schuller, and other Third Stream advocates. Exuding an impressionistic air, the album brims with lush melodies and soaring themes while maintaining a regal sense of classicism. The majestic fanfare of "The Presidents" is emblematic, opening the program with a chorale-like mosaic of interlocking horns and ethereal accents suggesting Duke Ellington's sumptuous voicings and Charles Mingus' stately drama. Digging deep into the opulent theme, Douglas demonstrates the breadth of his instrumental prowess with a series of sublime variations. An acknowledged master, Douglas' thematic improvisations transcend technique; his vocalized tone and emotive phrasing reveals a soulful earthiness that blends traditional virtuosity with avant-garde expressionism. Though he solos often, he never dominates the proceedings, enabling his singular writing to stand on its own. The moody tone poem "Bury Me Standing" conveys pensive introspection, while the brief "Tree and Shrub" and bittersweet opus "Persistence of Memory" soar with timeless, heartrending lyricism. The fittingly titled "Campaign Trail" is a lighthearted romp bolstered by wry commentary, while the circuitous solos and careening rhythms of the title track are an ebullient highlight. Drifting into vanguard territory, the muscular "Blockbuster" closes the session with an undulating barrage of swelling horns, similar to Butch Morris' comprovisation techniques. A sophisticated exploration of the big band tradition, A Single Sky opens a new chapter in Douglas' discography, providing fresh perspectives on his oeuvre. Track Listing: The Presidents; Bury Me Standing; A Single Sky; Campaign Trail; Tree and Shrub; Persistence of Memory; Blockbuster. 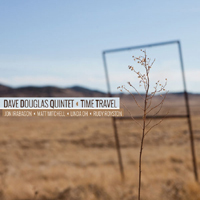 Personnel: Dave Douglas: trumpet; Jim McNeely: conductor; Oliver Leicht: alto saxophone, soprano saxophone, flute, alto flute, clarinet; Stefan Pfeifer-Galilea: alto saxophone, soprano saxophone, flute, clarinet; Tony Lakotos: tenor saxophone, flute; Steffen Weber: tenor saxophone, flute, clarinet; Rainer Heute: baritone saxophone, bass clarinet; Chad Shoopman: trumpet; Thomas Vogel: trumpet; Martin Auer: trumpet, flugelhorn; Axel Schlosser: trumpet; Gunter Bollmann: trombone; Peter Feil: trombone; Christian Jakso: trombone; Manfred Honetschlager: bass trombone; Martin Scales: guitar; Peter Reiter: piano; Thomas Heidepriem: bass; Jean Paul Hochstadter: drums.